On average, a biker is airlifted in the Midlands region every four days. 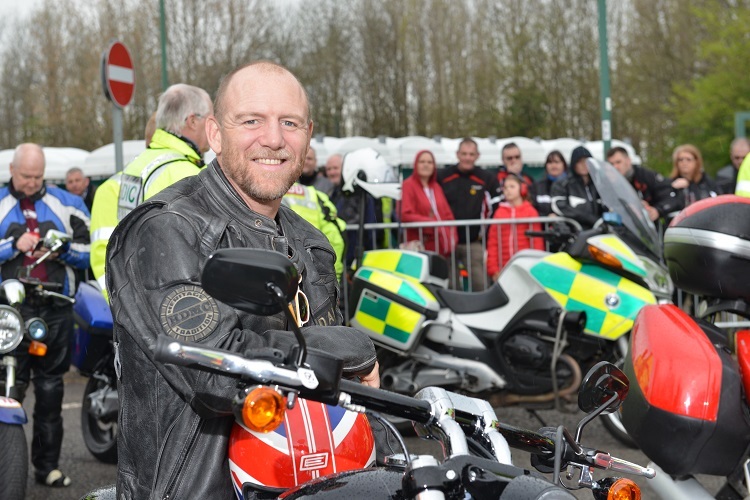 As one of the charity’s supportive ambassadors, Mike is attending the Bike4Life Ride Out and Festival, which is taking place on Sunday 28th April, for the second year, to highlight how vitally important the Midlands Air Ambulance service is in an emergency. Midlands Air Ambulance Charity is committed to raising awareness of motorcyclist safety, which is why the organisation launched the Bike4Life Ride Out and Festival nine years ago with the Safer Roads Partnership. Now one of the UK’s largest charity motorcycle ride outs, this is a great day out for all, while emphasising the importance of riding safely. Thanks to the biker community and wider general public who attend the festival, support for the event has grown year on year, and in 2018 raised over £87,000, funding 35 air ambulance missions. On the day, Mike will ride a Harley Davidson as he leads over 3,500 bikers on the 23-mile ride out from Meole Brace in Shrewsbury to the festival at RAF Cosford. Motorcycle legends, Carl Fogarty, Neil Hodgson, Steve Parrish and Dougie Lampkin, and the charity’s own chief executive, Hanna Sebright, will also lead the Bike4Life ride out. Mike Tindall MBE said: “As a rugby player, and a keen motorcyclist, I’m all too aware of how important the air ambulance is. Should anyone be unfortunate enough to need them, the flight doctors and paramedics are able to bring advanced skills and equipment to an incident scene within a matter of minutes. In some cases, this can mean the difference between life and death. Places in the ride out are limited, so book your place now to avoid disappointment at bike4lifefest.com. Tickets for the ride out are just £10 for bikers, and £5 for pillions, which includes access to the festival. Those looking to attend the festival only, entrance is just £5, and children under 16 go free.